sailboat. 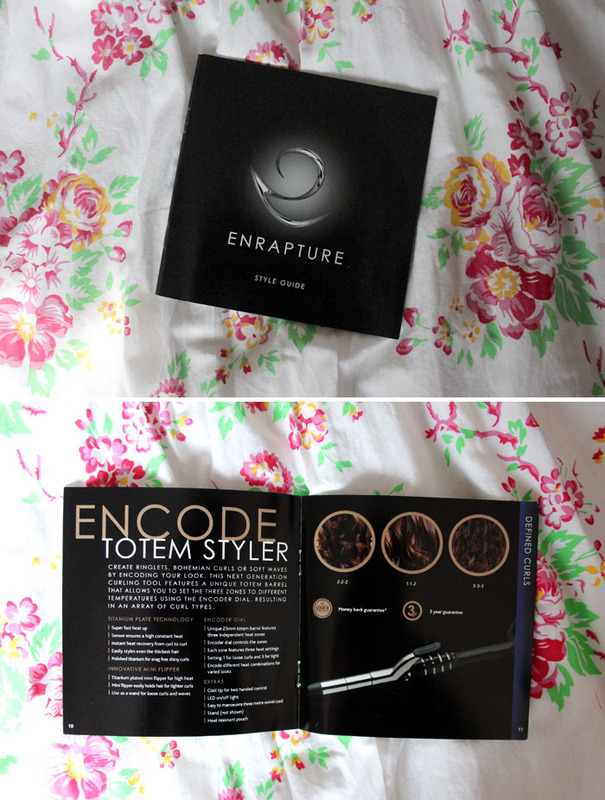 : Review: Enrapture Encode Totem Styler. Ever since I was about 16 I have tried many heat tools in the hope that I could finally achieve those perfect, effortless beachy waves that I crave so much. 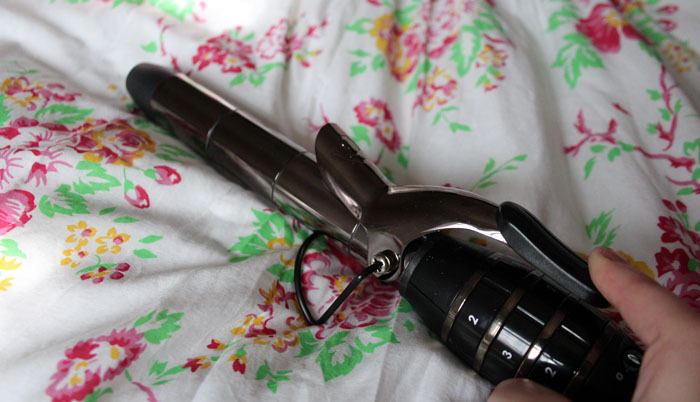 There has only ever been one, the Babyliss Waving Wand, that sort of lived up to my expectations but that has been completely pushed to the side ever since I first tried the Encode Totem Styler♦ from Enrapture. 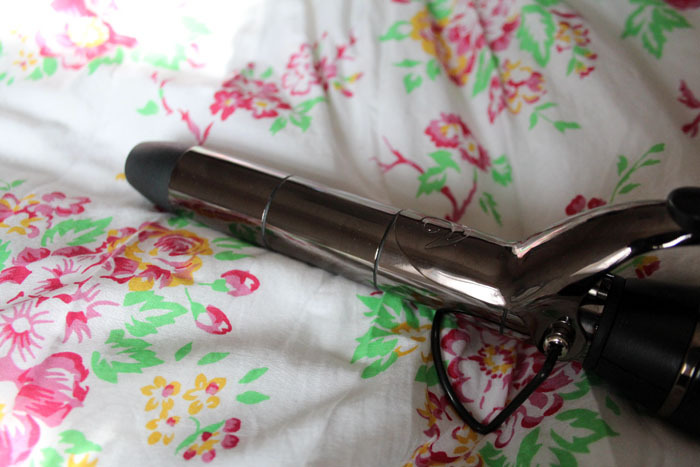 The thing that I, and so many other people, love about this heat tool the most is that it has three separate sections on the barrel that can be set to different temperatures, which will change the type of curl it gives your hair. Each section is controlled by numbered switches on the handle; 1 will give you a loose curl, 2 will give a medium curl and 3 will give a tight curl. If you were to use the combination 1-1-1 you would get an all over loose wave to your hair, I really love to do this because the result is super natural, really casual and it takes 10 minutes maximum to achieve! If you wanted a loose wave that transitions into a tighter curl at the ends then the combination 1-1-3 would be perfect for you! You can achieve so many different looks with this styler, it's almost like having multiple heat tools in one! You can hold the wand pointing downwards & twist your hair around the wand using your fingers (if you're anything like me I'd recommend using a heat protective glove just so you don't burn your fingers!) or you can hold the wand pointing upwards, use the cute little flipper to clamp the end of the section you would like to curl & then twist the tool around so your hair is evenly curled around the wand. Both are super easy and quick to do, it's all down to personal preference and which you find more comfortable. The power cord twists with the tool so you will never end up with it tangled all around the wand or your arm as you're trying to curl your hair & the power switch has been placed in the perfect spot so there's so chance of you accidentally switching the tool off as you're mid curl, which has happened to me before with a couple of heat tools and it's super annoying! If I know I won't have any spare minutes the next morning to style my hair, then the night before I will use the combination 3-3-3 to curl all of my hair & I will lightly spritz with a light hairspray and venture into the land of nod for 8 hours. 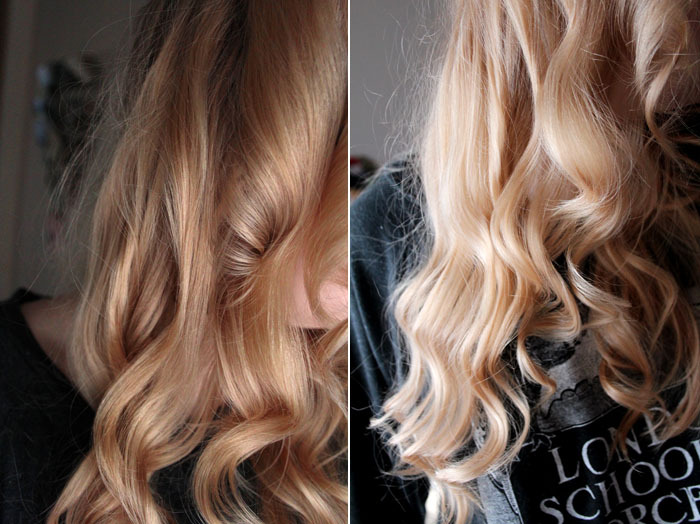 When I wake up this is the result I am left with; really pretty, girly curls and I adore this style! My favourite combination though is 1-2-1 which just gives the most beautiful volumised waves and takes literally minutes to achieve. I have quite fine & flat hair, I never feel the need to divide it up into sections, so I just grab pieces, of varying sizes, wrap them around the wand and this is the look is creates. 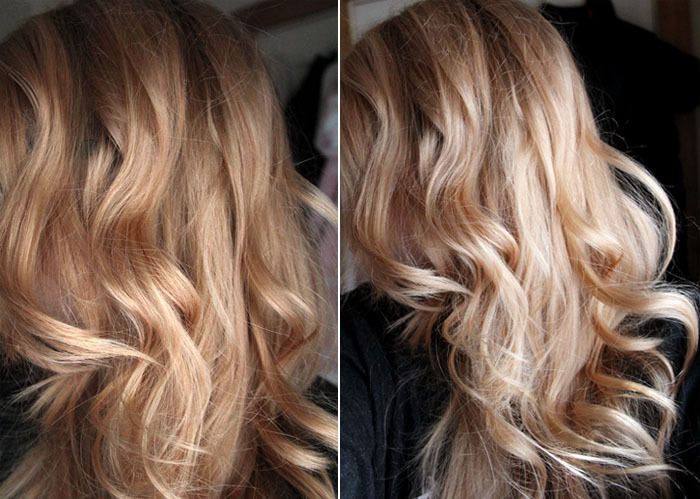 I love the subtle wave at the top, the slightly more defined curl in the middle and then the loose wave at the ends. I think it's a really pretty look that makes me feel like I've made a bit of an effort but without spending hours trying to create the perfect style. Overall I honestly do think this is an amazing tool to have if you love experimenting with your hairstyle. It heats up super quickly so you don't have ages to wait around if you're in a bit of a rush and it offers so much variety, from really loose bohemian waves to tighter and more defined curls. The Enrapture hair tools are quite pricey and admittedly I was pretty skeptical at first as to whether they would be worth the money, but they absolutely are. After seeing so many wonderful reviews online I'm now desperate to try the Enrapture Amplify Jumbo Waver because I'm going to be all about the huge beachy hair this spring & summer and this tool looks like it will be perfect for that! You can find Enrapture at many different shops and online including Boots & Argos & the Totem Styler retails for £74.99. 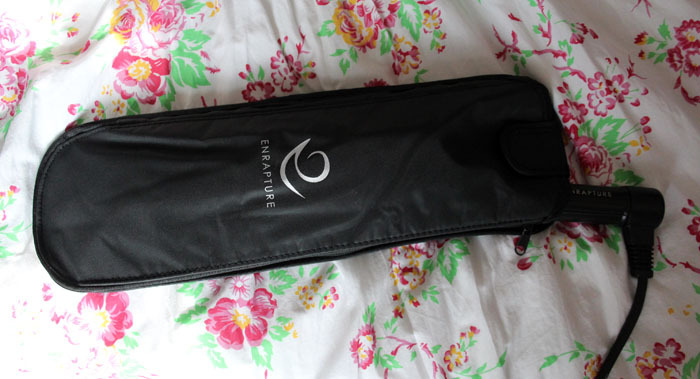 Have you tried any of the hair tools from Enrapture? What is the best heat tool you have ever used? Wow! The curls look really great here! All of them! I don't have a curling tool. This is the first I heard of Enrapture. From what I see, it has a great function! You're hair looks amaze! I wish I had a spare £74.99 going...why don't all hair stylers have those heat options?! Gosh it looks lovely, so bouncy and healthy! Love it! 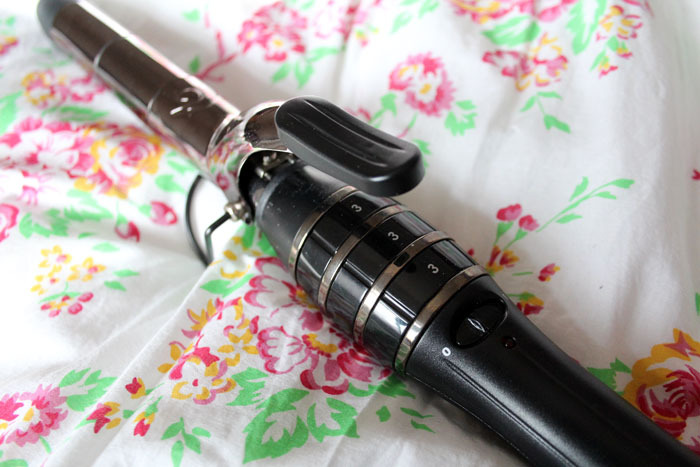 what a clever concept for a curling iron! 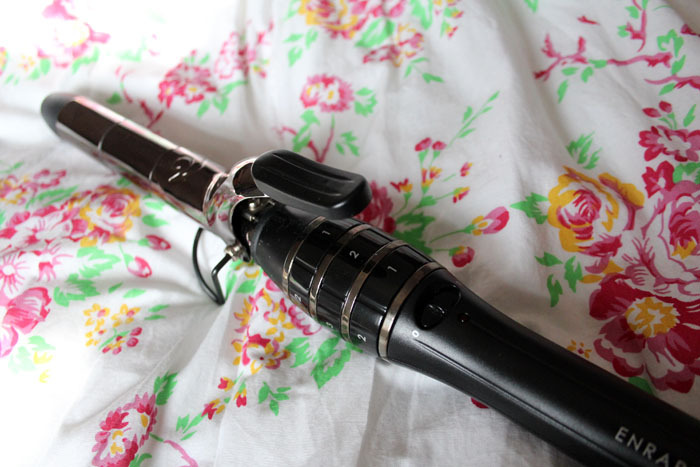 I want one of these so much. My current tongs are on their way out so as soon as they pass away i'm getting one.